There's a lot of shocking revelations before and during One Championship: Spirit of Champions. Brand Vera's true opponent, Perry failed to submit his drug test. On the other hand Toquero's opponent(Yang Jianbing) collapsed and died, a day before the fight. This caused great sadness throughout the One Championship organization. 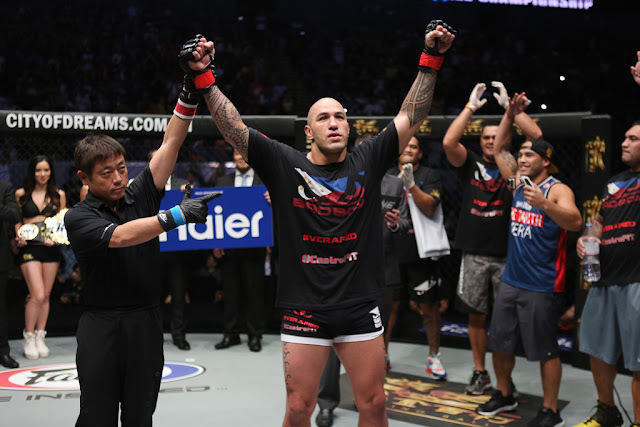 Brandon Vera gets his Heavy Weight World Champion title when he knocked out a typhoon, Paul Cheng, in less than 26 seconds of 1st round. Manila, Philippines: The largest sports media property in Asian history, ONE Championship™ (ONE), electrified the packed house at the 20,000-seater Mall of Asia Arena in Pasay City, Philippines with another evening of world-class mixed martial arts action to close out an amazing year. In the main event, international mixed martial arts superstar Brandon “The Truth” Vera captured the inaugural ONE Heavyweight World Championship by knocking out Paul “Typhoon” Cheng within a minute of the first round of their title bout. 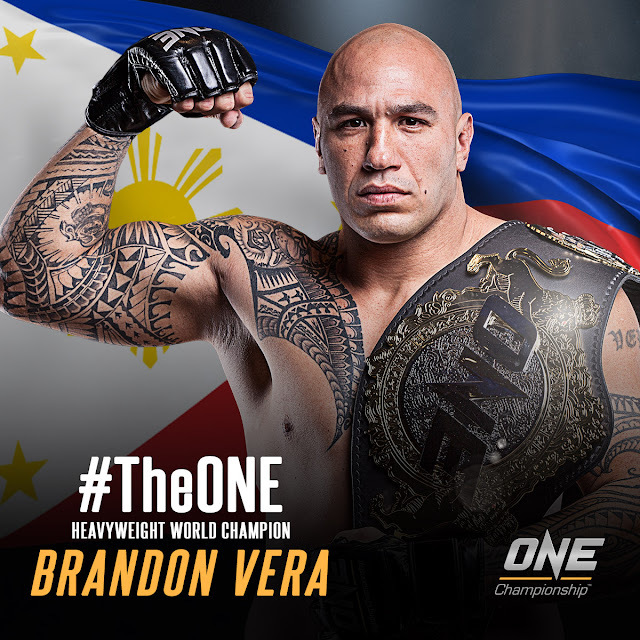 Filipino-American Brandon “The Truth” Vera made quick work of Taiwan’s Paul “Typhoon” Cheng, stopping his opponent within moments of the opening bell to claim the inaugural ONE Heavyweight World Championship. Vera opened the bout by dropping Cheng with a counter left hook after Cheng was caught over-extending on a missed punch. Vera followed up with a high kick that landed flush, sending Cheng down to the canvas. From there, Vera rained down hammer fists to force a stoppage. Female straw-weights “Unstoppable” Angela Lee of Singapore and Lena Tkhorevska of Poland put on an amazing show of high-level grappling for fight fans in attendance. The Singaporean Lee started off by scoring on an impressive side suplex in the first round, followed by various submission attempts while Tkhorevska was preoccupied with defense. In the second round, Lee was able to take Tkhorevska’s back, sinking in a deep rear naked choke to end the bout. 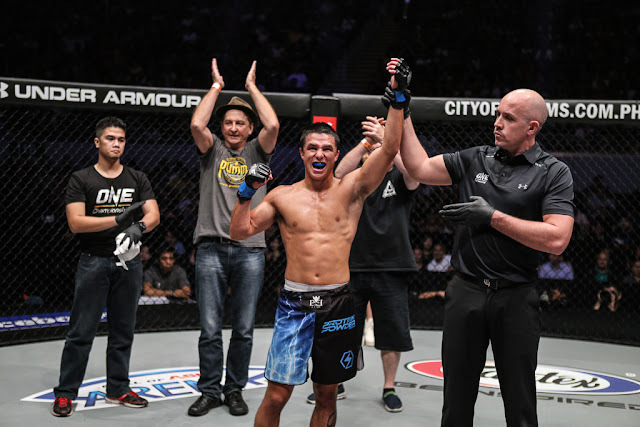 A determined Bruno Pucci of Brazil made his re-emergence in ONE Championship a successful one by defeating previously undefeated featherweight Anthony Engelen of the Netherlands. Pucci dominated the entire bout, scoring on two slams to take Engelen effortlessly down to the mat. 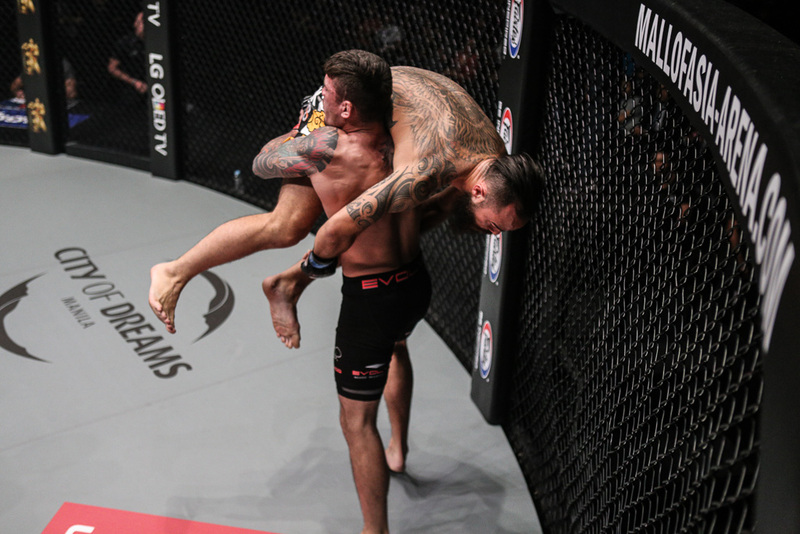 In the second round, Pucci slipped a rear naked choke deep enough to force Engelen to tap out. Pucci, is so emotional, as he clinched a long-awaited victory in round two. 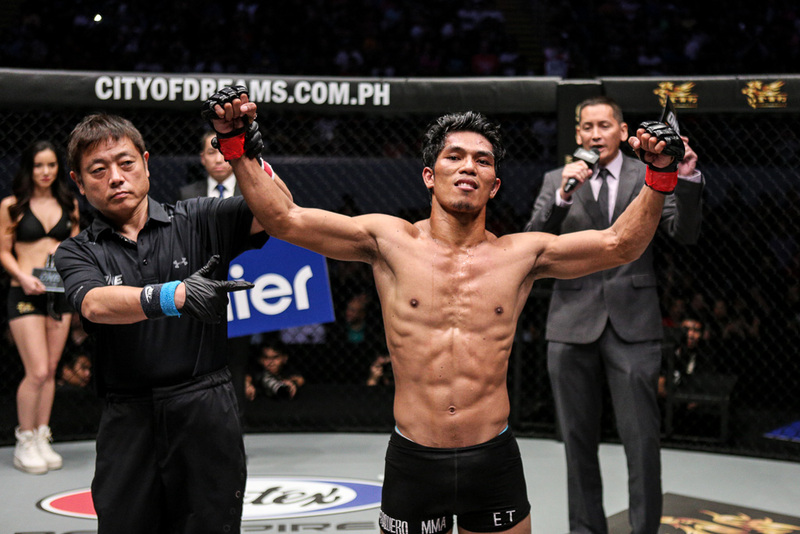 Brazilian flyweight Alex Silva also made a successful return to the ONE Championship cage after more than a two-year break to defeat Ruel Catalan of the Philippines by submission. Catalan tried to use his long reach to keep Silva from closing the distance, as Silva looked constantly for the takedown. A scramble found Catalan in top position as he unloaded punches, but Silva was able to reverse, quickly locking in a knee bar to seal the deal. 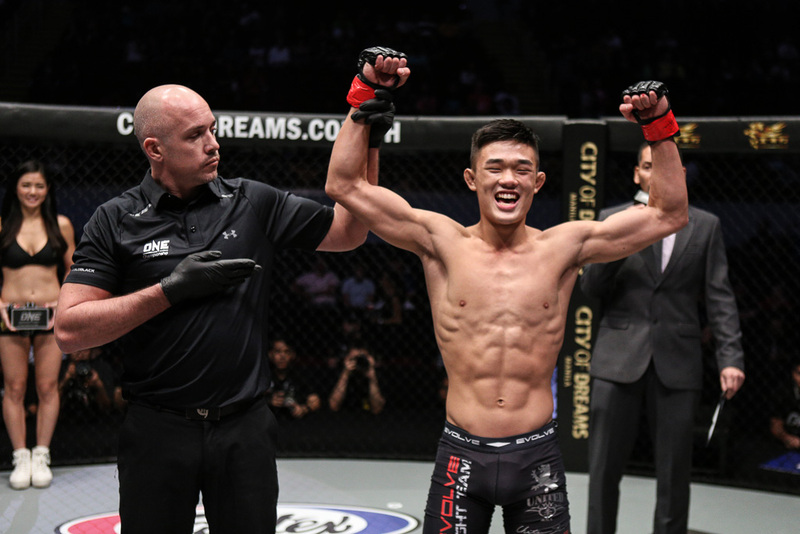 17-year old Christian Lee, younger brother of female straw-weight standout Angela Lee, emerged victorious in his ONE Championship and professional mixed martial arts debut, stopping game opponent David Meak of Australia to kick off ONE: SPIRIT OF CHAMPIONS. Lee got off to a fast start, unloading combinations while aggressively attacking Meak who tried his best to defend. After a barrage of punches, the referee stepped in to call a halt to the contest.